I might not have realized how much work it takes to start a charter school. I might not have realized how many questions there are to answer, and how many details there are to put in place. I thought I did. In my fifth day as principal, I still do not have a cognizant response when I am asked how I feel in this new position. All I can be clear about is that there is much to put in place, and that what I am not feeling is fear -- and I know why. I am not afraid of this daunting work, because what we are creating in a school like IVA will provide life. As a high school teacher, especially teaching 9th-graders, I saw kids in my class on the first day that had already given up on caring about school. Whether it was the experience of failing for so long, or the fear of embarrassment in front of their peers, a light had already been turned off. These kids were not lost to learning forever, but they had already defined a part of themselves in their habits and character that would take so much to redirect. I am not afraid because I just cannot wait for that first day of school, when new 6th-graders walk into their classrooms and into an entire school culture designed to create careful, reflective learners and curious thinkers. This is not middle school as we know it. Not one student will leave IVA and walk into her 9th-grade teachers’ room with a light turned off. I am also not afraid, because I am developing my character. OK, OK. I have always been a super optimist and, in a difficult situation, I am almost annoyingly quick to champion the wonderful learning that can be gained from trial. But this is different. I know that in seeking answers to the unknowns about IVA’s after-school program, classroom design, electives -- the list goes on -- that I am practicing intellectual courage and open-mindedness. A challenge is quite different in these terms. 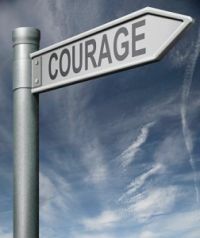 Intellectual courage – persisting in thinking, inquiring, discussion despite the presence of an unknown. Open-mindedness – thinking “outside the box” (or the traditional school), and in creative and original ways. Yes! That is exactly what I am doing! And it is good. By defining this work as practicing virtues, I believe in it more. Is that strange? It is a perspective switch. And one that defines me now in possibility rather than limitation. And I’m not just showing off to tout my developing virtues Can you imagine empowering your children with knowing their own minds by giving them the language to process their struggle in terms of a virtue to build? Can you imagine this from every teacher at the school and for every student, not just a few? This is a time for questions and a time for reflection. This is a time for creating. I am honored to get to practice and seek creative thinking. So, while it is certainly isn’t ideal that we have a little more than three months to solidify details and ensure every part of what we create fits our IVA model, I still cannot wait! Plus, did you know? Our founding class of students – class of 2016 – gets to go on an IVA mascot hunt! I cannot wait!